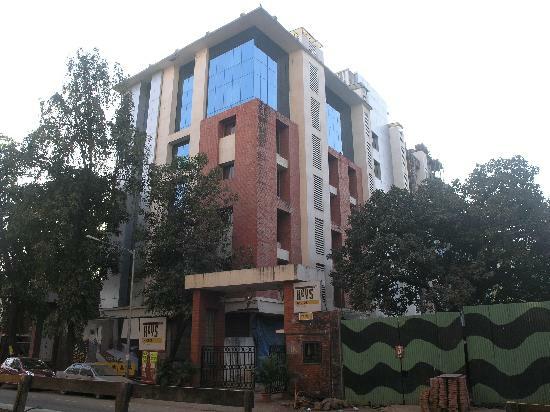 Hotel Nestor Mumbai is located in Marol, approximately 2 km from the International Airport, and 8 km from the Domestic Airport. Nestled in Marol, a burgeoning suburb in the heart of Mumbai, Hotel Nestor Mumbai is the perfect blend of practical amenities and real-world facilities. Its unique location makes it an ideal choice for both corporate and leisure travellers, offering the best of both worlds – business as well as convenience. Spacious and tastefully decorated, all 56 guest rooms at Hotel Nestor Mumbai are cosy and comfortable, designed to meet the needs of every individual traveller. Rooms are available in 3 categories, Standard, Executive and Deluxe. In-room amenities include: attached bathrooms with hot water, as well as, air-conditioning, cable television, refrigerators, electric tea/coffee makers, WiFi access, comfort bed with duvets and laptop compatible safe. Hotel Nestor Mumbai has a restaurant offering breakfast, lunch and dinner to the guests. Other facilities include doctor on call, laundry, WiFi connectivity as well business concierge and travel services. The hotel is being upgraded with a new block and will have 140 spacious rooms, Keys Cafe, 24/7 business center, 24/7 gym, conference rooms, swimming pool and all other amenities associated with the Keys brand. Additional facilities include Wi-Fi, free parking, restaurant, coffee shop and 24/7 room service. If you have not decided yet or wants to customize tour itinerary or hotels listed above in "3 Star Keys Hotel Nestor Package in Mumbai Starting At Rs.3959/-", then we can change the travel itinerary and make a personalized, tailor-made holiday package, especially for you. We can modify this travel package as per your itinerary, budget, duration and the tourist places you would like to visit, including transportation and airfare should be included or not. Please fill the form below to contact us. The best4 star budget hotel in Mumbai which provides all kind of services & facilities & best accommodation in areas like Juhu, Dadar & Khar.